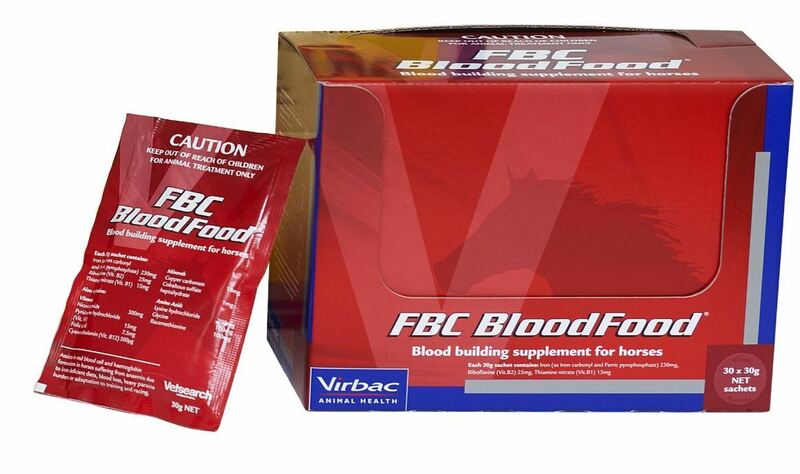 FBC Boodfood contains iron, B-group vitamins and minerals for building red bloodcells.A short course blood builder for the treatment of anemia caused by low iron or recovery from heavy internal parasite infection. It provides a highly concentrated source of elemental iron (98%) and is available in individually packed sachets of palatable sugar-coated granules. 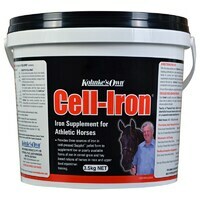 Highly concentrated source of elemental iron - FBC BLOODFOOD contains 98% iron carbonyl, the most concentrated form of iron; micronized for maximum availability. 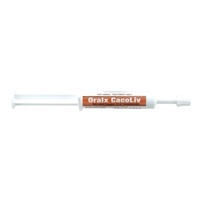 Contains other essential components – Added copper, cobalt and amino acids are all required for blood production and creation of proteins contained in red blood cells and haemoglobin. 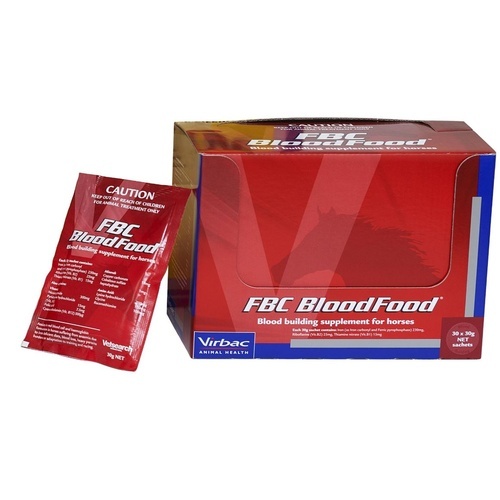 Safe alternative to injectables - FBC BLOODFOOD contains high levels of vitamin B12 and folic acid to stimulate the bone marrow to produce red blood cells; and eliminates the need for B12 and folic acid injections. Accurate dose and excellent palatability.